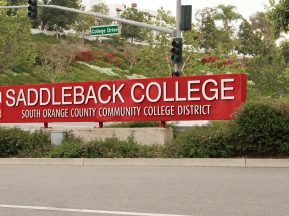 Glendale Community College’s three-story 63,000 square-foot Life Sciences building serves the needs of biology, nursing and psychology students. 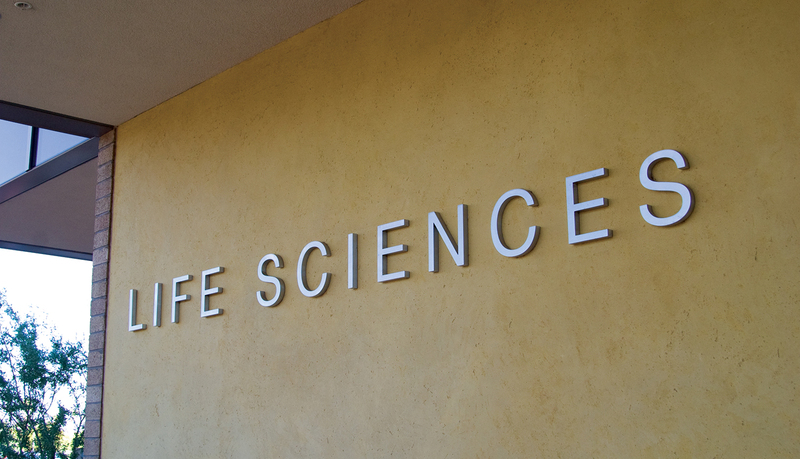 The Life Sciences building contains classroom space for 300 students, 62 faculty offices, nine biology labs, four nursing observation pods, a large amphitheater, meeting rooms, a working greenhouse and a small café. 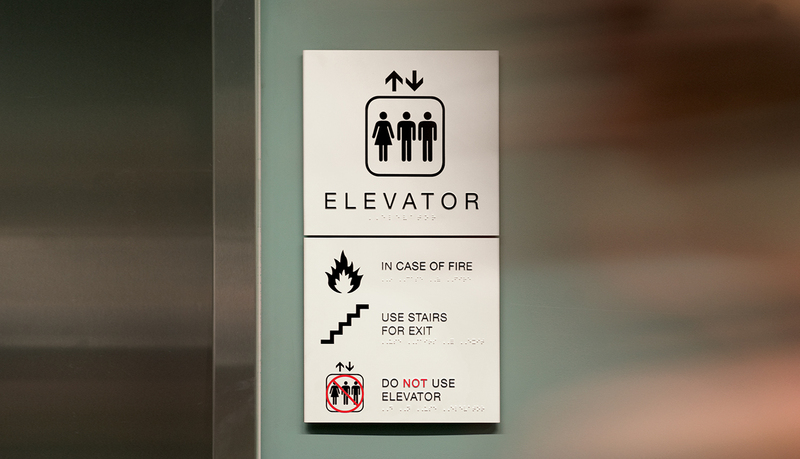 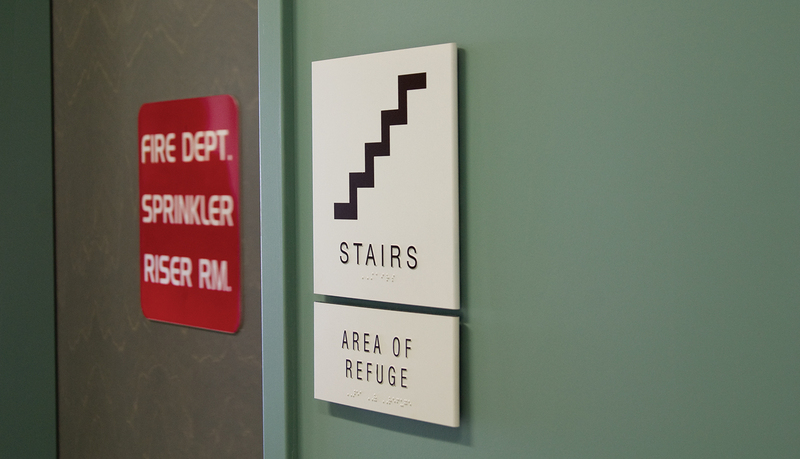 A functional wayfinding and modular signage solution was needed to finish out the interior of the building. 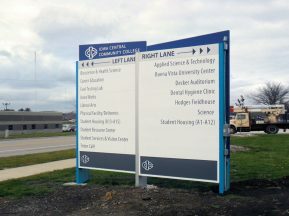 The Life Sciences building, which was designed by GouldEvans and built by DPR Construction, required an easy to understand wayfindng system to guide students and faculty to the right place at the right time. 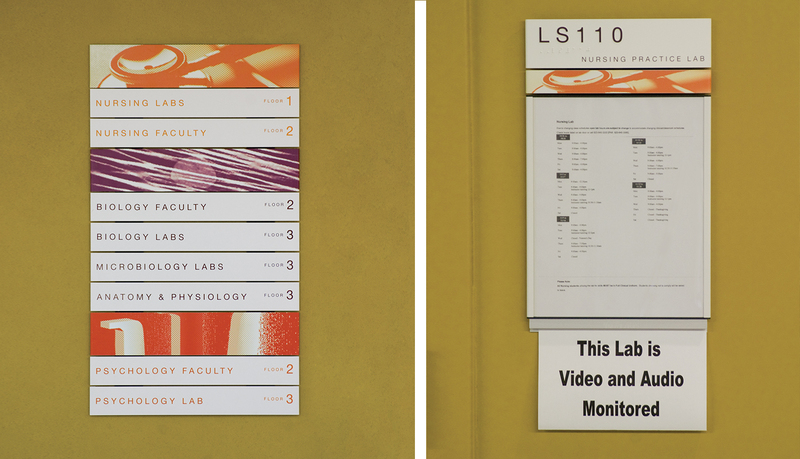 The environmental graphic design team at GouldEvans designed and programmed the signage program. 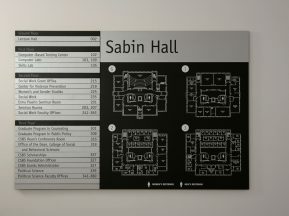 They conceived a wayfinding and signage solution that would complement the interior design of the building, guide students and faculty efficiently and effectively throughout the building, and allow for easy updates. 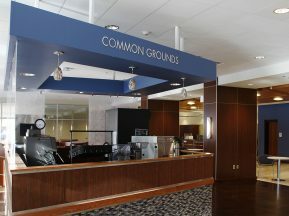 ASI’s Messenger Interior™ system was selected as the buildings modular solution because of its pure, slim-line, flat-face design. 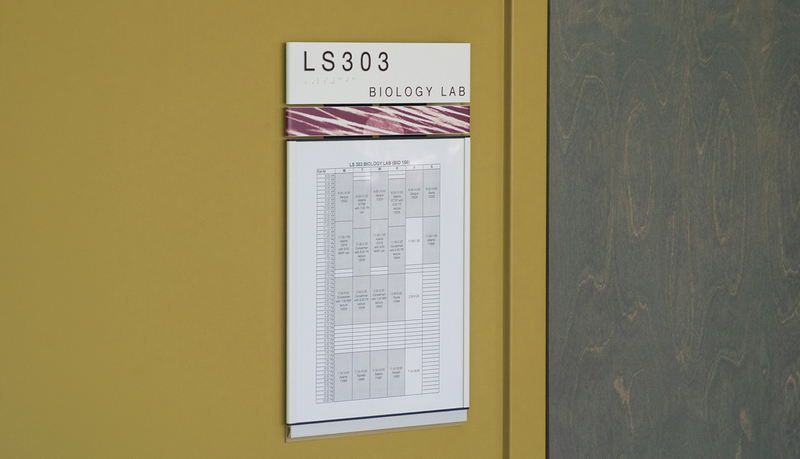 The Messenger Interior™ system is precision engineered using the most advanced production technologies to create a contemporary appearance that is easily adaptable in rapidly changing environments, such as the Life Sciences Building. 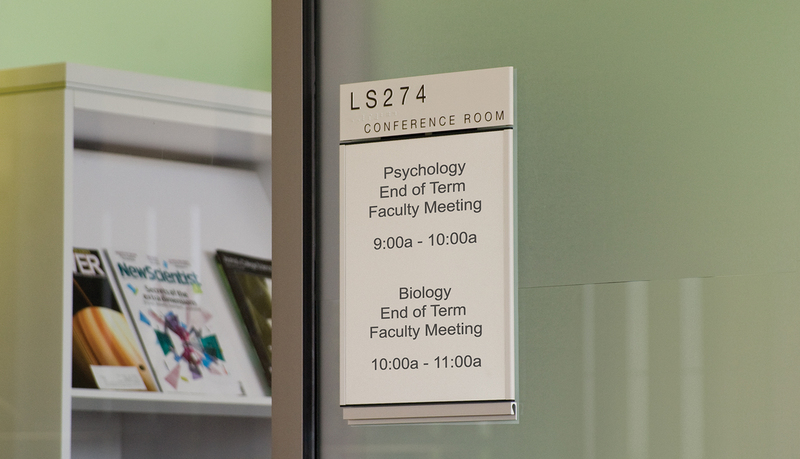 The design features many customized elements including integrated graphic appliqués on the header panel of specific room and department ID signs that represents the three primary services of the building: biology, nursing and psychology. 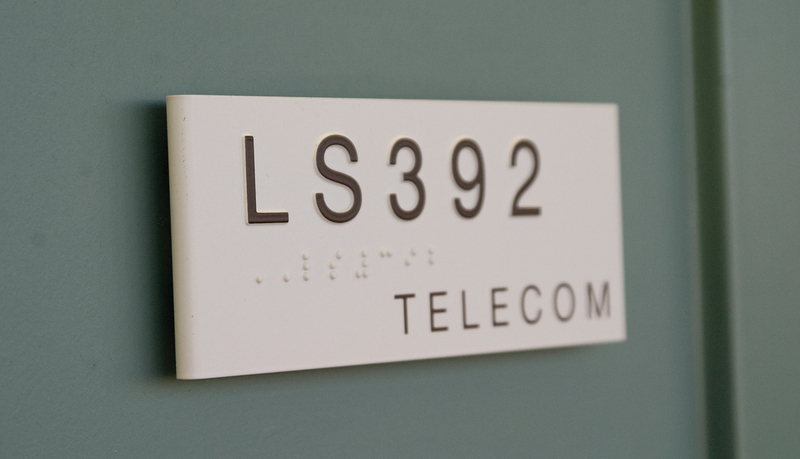 The complete interior signage solution includes updatable PaperFlex™ signs, ADA-Ready™ room ID signs as well as floor directories. 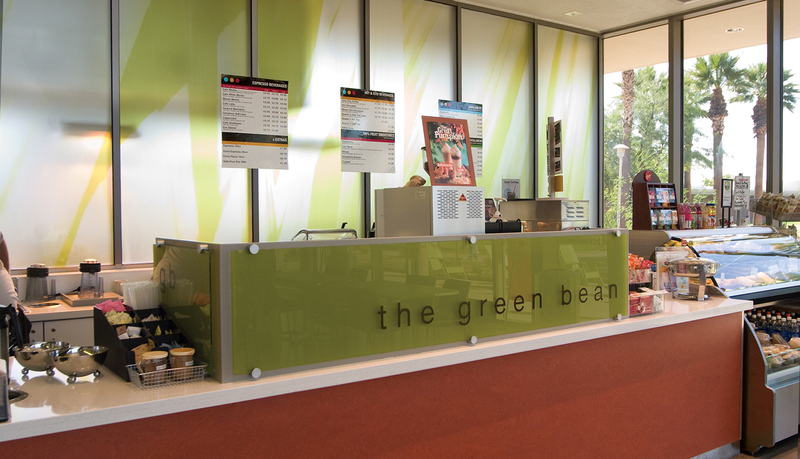 ASI also fabricated and installed an 18’x 7.5’ large format digital graphic appliqué which adorns the 6-panel window section of the main lobby and student café.